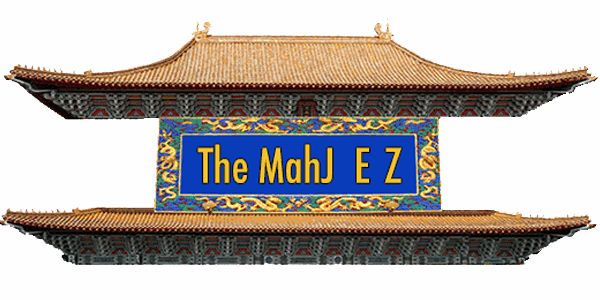 The original MahJ E Z is a 54" x 54" flannel-backed vinyl game cloth designed to assist the new and experienced player in the ancient Chinese game of Mah Jongg. All 4 players have the same helpful information at their fingertips, which includes the rules for the Charleston (exchange of tiles) pairing of Suits with Dragons, and arrows indicating the direction of Play, Walls and the passing of Dice. The tiles slide easily while the table is protected. The image is a 24" circle suitable for all table sizes, either round or square. The MahJ E Z comes in 3 artistic designs; Bam, Dot, and Green Dragon. Send us your email and we will reach out to connect and answer your questions. Copyright © 2018 The MahJ EZ All Rights Reserved.